Pitch Investors Live is the first and only blockchain company that allows entrepreneurs and startups to pitch to investors live via our app ‘Pitch Investors Live,’ available in iOS. 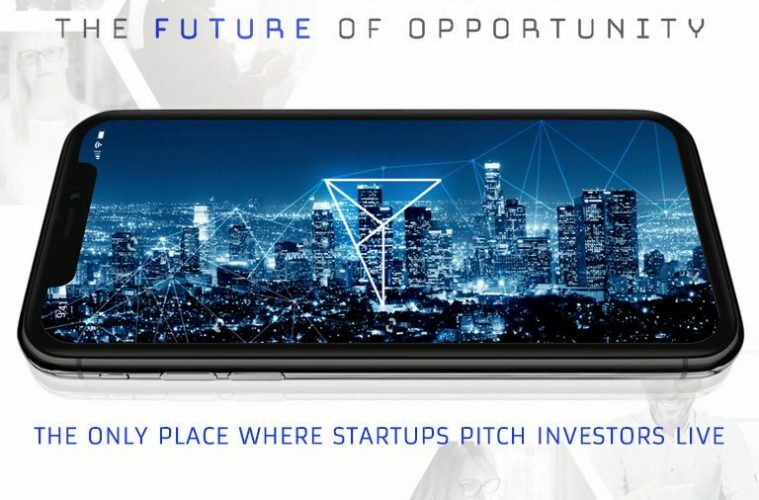 Our currency, the PITCH (ERC) token is purchased on both the app and our website https://pitchinvestorslive.com/ and are used as payment for services offered on our platform, including going live to pitch. As a decentralized app, Pitch Investors Live utilizes the Ethereum Network for Smart Contracts and uses a third party to validate companies and investors on our platform. Entrepreneurs can now connect with potential investors and no longer are at the mercy of social, economic, or geographic restrictions. Think Shark Tank meets Kickstarter. Instead of pitching to 6 sharks, users can pitch to hundreds of investors, anywhere in the world, live from their app. The Pitch Investors Live iOS application eliminates any barriers to entry for startups and entrepreneurs. Entrepreneurs from developing nations have the opportunity to pitch their ideas and business plans without traveling to cities where the startup ecosystem is vibrant. Investors can access a larger audience and choose the duration of time for the pitch, without being subject to editorial rules like in Shark Tank and red tape. As technology accelerates the growth of startups, Pitch is a platform to meet demand for both types of users. Additionally, the entire exchange can be enjoyed by any audience member (other app users) for free. The platform levels the playing field for how startups get recognized, funded, and guided for accelerated growth. We’re based in the Miami area, Florida. Raising $1M in private presale. Onboarding 40 talented individual team members in a short amount of time, gaining Kevin Harrington as a strategic adviser, and conducting a live pitch between a startup and Kevin Harrington using the iOS application. Entrepreneurs, startups, and accredited investors (global). We also want to attract the general public, to educate them about entrepreneurship/business, and funding while also providing entertainment. Build the foundation first: backend systems, qualified team members with an entrepreneurial spirit, strategic alliances/partnerships, and strategic focus for both online and offline presence. Set up booths at conferences and build an engaged community by offering educational, entertainment and business development incentives. BUT… action is the key to success. Success, whether fiscal, physical, or something else, is attracted to speed. Do everything you can to be as prepared as possible, but DON’T “wait for perfect” to launch your idea. Sales is the fastest way to validate an idea. The majority of our team are entrepreneurs in the online space. Many are involved with social media marketing and web development. Our legal and financial advisors run their own firms full time. The founders are serial entrepreneurs who combine technology and marketing backgrounds to launch this project successfully. Become a billion dollar company with the help of people like Kevin Harrington. Initially, we started serving tech startups who were looking to launch tokens. By onboarding advisors and investors like Kevin Harrington, we’ve been able to broaden our reach and service various industries outside of the technology and blockchain space. We are also focusing our efforts to expand to international markets, in particular those that are under-served by the traditional venture capital system. We also are targeting and involving more women on the cutting edge of the blockchain. My favorite tech gadgets are the Apple watch & iPhone. I also like the BOSE QC35 headphones for traveling. A device that would record, summarize, and store meeting notes, and provide steps and DRI’s for completing the main action items discussed. You can download the app at pitchios.com. You can also contact us if you would like to be part of our beta test group.